Tokyo: Where Should You Visit? Tokyo is one of the top locations on most travellers’ hit lists, and if it’s not, it should be. The city is a marvellous mix of modern living built upon a complex, multilayered and ancient culture. 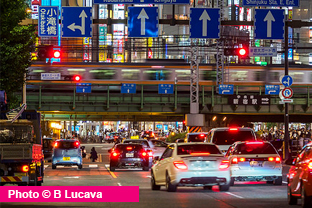 Tokyo currently tops the list of the world’s most populous cities with 38 million dwellers, so if you’re planning a trip to this vibrant, effervescent metropolis, you certainly won’t be short of things to do! 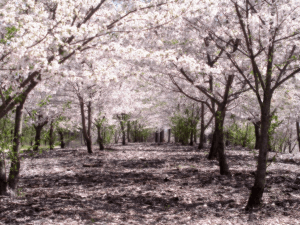 If you’re lucky enough to be visiting Tokyo at the end of March or early April, you must make the most of your fortune by taking in one of the most enduring symbols of Tokyo, the blooming cherry blossoms trees. This traditional symbol of Japan marks the end of winter and welcomes the arrival of spring. 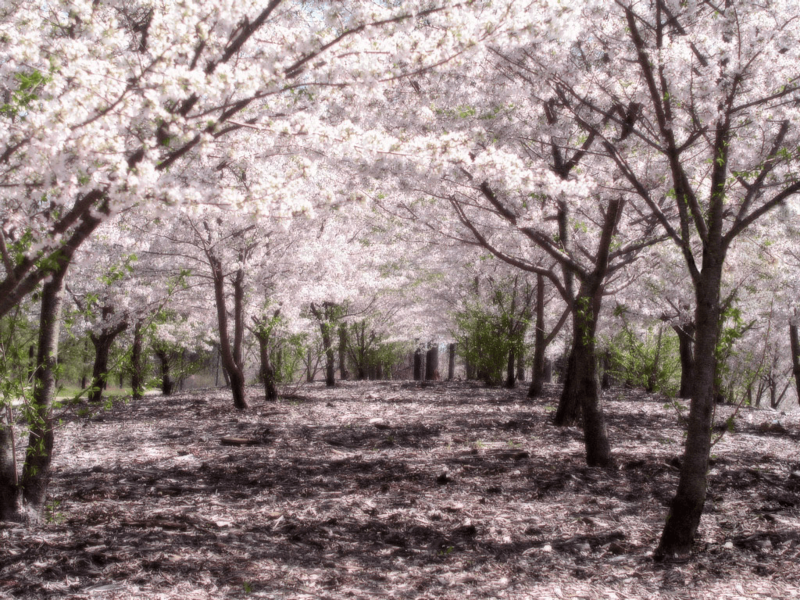 This splendid sight can be seen in a number of spots dotted around the city, such as Asukayama Park, the Meguro River and Ueno Onshi Park to name a few. For panoramic views across this monster of a city there’s only one place to head, and that’s Tokyo Tower. The tower itself looks remarkably like the Eiffel Tower, and although there are now taller towers in Tokyo, none of them share the Tokyo Tower’s grandeur. The tower is open every day, but waiting for a bright, clear day is highly recommended. 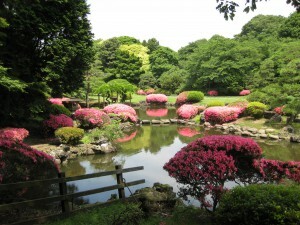 The beauty of Tokyo’s city parks is unrivalled anywhere in the world. There are a number of themed gardens to enjoy, including French, English and traditional Japanese. Some of the natural sights you can expect to see in Shinjuku Gyoen are truly breathtaking and befitting of one of the best kept parks anywhere in the world. 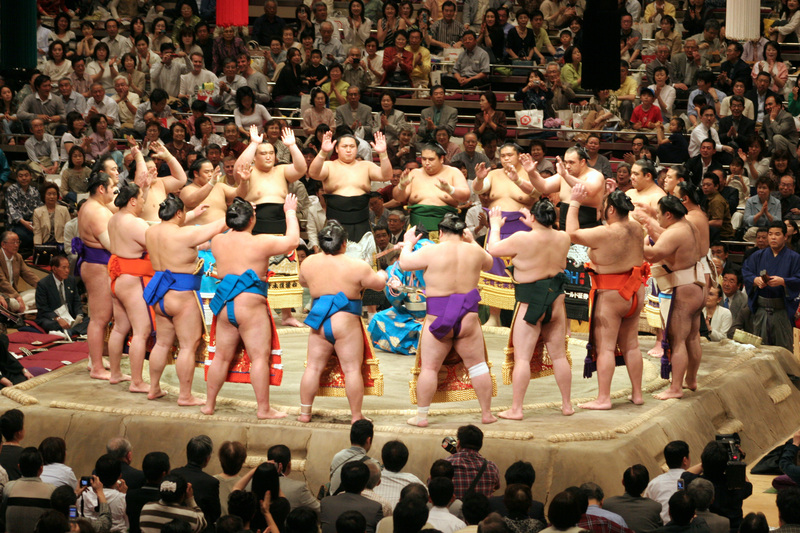 You cannot visit Tokyo without taking a trip to the city’s National Sumo Hall to see this remarkable spectacle which is so enshrined in Japanese culture. 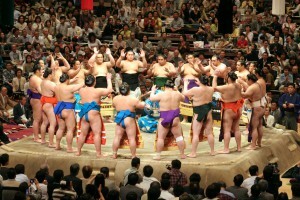 You’d be hard pushed to find anything in this city so authentically Japanese, and with a parade of ceremonial clothes and classic move demonstrations by famed former champions, there’s plenty to keep you entertained besides the wrestling itself. There are 15-day tournaments held in January, May and September every year. If you can get tickets it’s an absolute must! Japanese sushi is the best in the world. 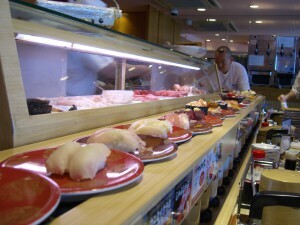 The fish is bought in the world’s biggest fish market and prepared by some of the greatest sushi masters alive. There is a huge range of sushi restaurants to suit every budget, but wherever you eat, rest assured you’ll be eating some of the world’s finest handmade sushi. 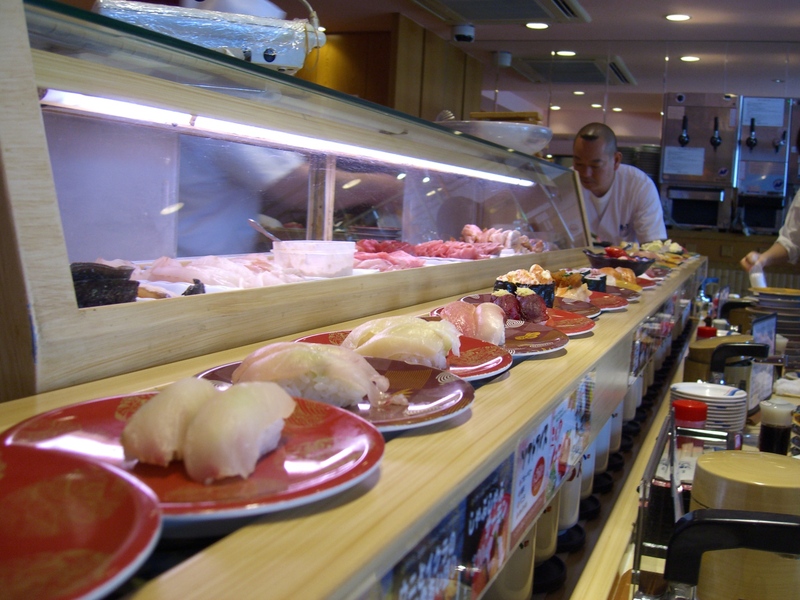 If you go to a sushi restaurant with a revolving bar you can expect to pay upwards of 100 yen per plate (usually 2 pieces of sushi), while a mid-range sit down sushi meal will cost you between 2,000 – 3,000 yen. Alternatively, if you’re not taking a trip to Tokyo anytime soon, you can get an authentic taste of Japan here at YouMeSushi!